Now I must say that the weather has been so unpredictable, hasn’t it? So choosing things for this week is super tricky… we’ve seen sun, snow and bad rain all in the space of a few days so who knows what we’ll be doing this weekend? I’ve heard we are in for a heat wave, but again… who knows…?! The current forecast for the weekend tell us to expect some rain showers on Saturday and Sunday, temperatures around 13 degrees and maybe some sun. Doesn’t sound too bad to be honest! Meet amazing Madagascan species up close at Mad About Madagascar at Tropical Butterfly House, Sheffield. It’s the annual Spring Fair at Heeley City Farm on Saturday, 12-4pm, FREE. They’ll be puppet show, kids activities, crafts, stalls, bar, animal activities and lots more. 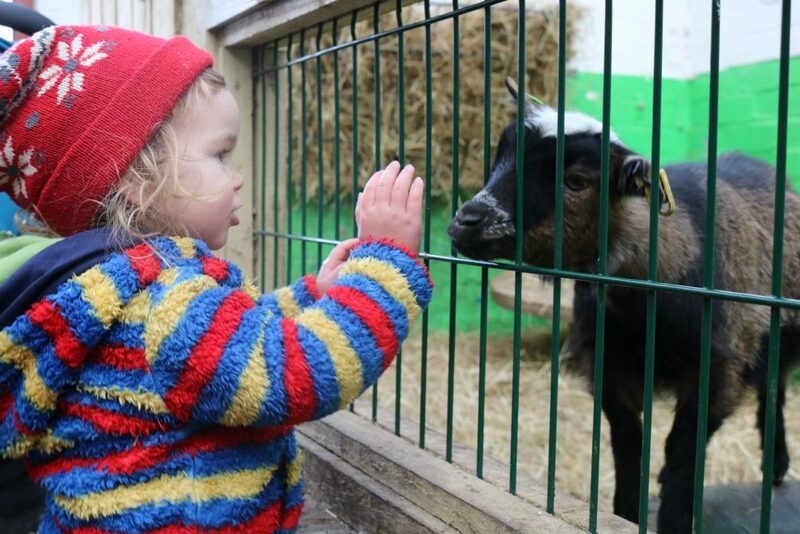 What to do at Heeley City Farm plus photos of the lovely and very family friendly cafe here! Love vintage cars? 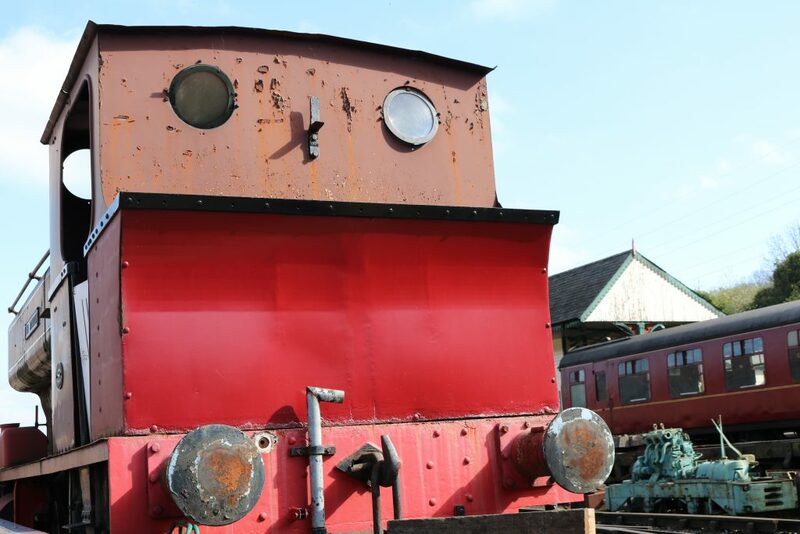 There’s a FREE vintage car rally at Kirklee’s Light Railway on Sunday, 10-4pm. Landcrab Owners Club International’s Third Annual Northern Spring Rally at Clayton West Station. Standard fares apply for the trains. Go looking for squirrels at the lovely Botanical Gardens, don’t forget about the wonderful cafe The Curators Tearoom. 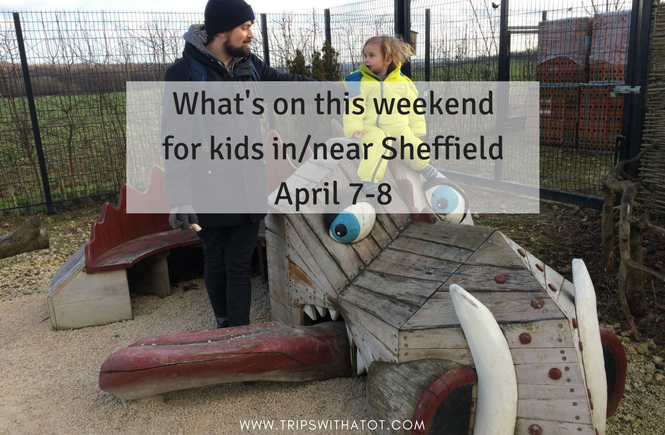 Nearby is Weston Park Museum, free, and fantastic for kids, and Sheffield General Cemetery for a woodland exploration. Get your free museum trail for Weston Park Museum here! 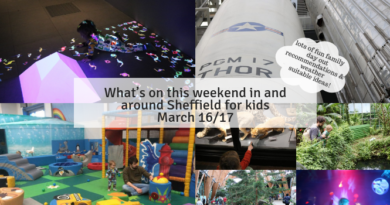 Take part in FREE spring kids crafts, face painting and after party at Orchard Square, Sheffield City Centre on Sunday, 11-2pm. 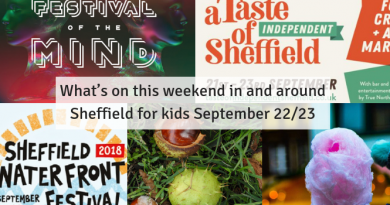 Indulge in all the street food at Peddler Night Market down at Kelham Island Friday & Saturday, family friendly in the afternoon/early evening. Greenhill Library Spring Farmers and Craft Market on Sunday, 10-4pm. Wonderful craft stalls, food and child friendly. This is a new addition to my weekend roundups, with the idea that 5 categories will change every week. Hope you like it! Have you tried Aston Springs Farm? Read our review here. You can do a farm trail which is a nice walk around in some woodlands, about an hour or longer a toddler pace, and can even have a picnic along the way. Back down at the “main part” is a small animal barn, farm shop, restaurant/cafe and tack barn pizza restaurant which has a small indoor soft play. The decor and theme of the pizza restaurant is so cool, trendy and really nice to be in. The pizza’s are super tasty and they do lovely coffees, too. It’s a nice day out and not too expensive or far from Sheffield at all (it’s in Aston, Rotherham). Everyone has heard of Chatsworth House, but there’s a really nice walk which doesn’t cost anything; you don’t need any ticket to access the grounds which the walk is on. It’s a long walk, a few hours but there’s loads to see along the way. We’ve done this walk a few times, the last time was in December; it was sooo cold! See the photos and route in my post here. If you have littles definitely take a pram or sling. The walk is accessible all the way around, fine for prams or wheelchairs, but there are some shortcuts with stairs if you wish to. The walk starts next to the farmyard & playground entrance through the gate to stand wood and leads right up to the hunting tower (which you can see in the distance from down at the house if you look north!). Definitely take a camera, snacks and enjoy. Clifton Park is a wonderful place for an outdoorsy FREE day out and I’m sure all ages would like it. In Rotherham, this park has a museum, cafe and loooooads of playgrounds, skate park, splash play for summer, mini golf and funfair. There’s big playgrounds and slides for older kids and a separate toddler bit for littles plus a sand play area with slide and diggers. If the wether is nice this weekend I definitely recommend a visit here. Very easy to get to with the X1 Steelink bus from Sheffield stopping right outside. I really like and recommend Wollaton Hall in Nottingham, and their Easter egg hunt is still on, too. It’s completely free, there’s a good playground, deer park and loads of space to roam, play and run. Plus, the natural history museum is free and really great to look in. When we went the first time they had extra activities on for children in the museum, too. It’s just outside Nottingham city centre, easy to get on a bus. Nottingham is a lovely place to visit and there’s a few things you should try out there… like a visit to the Nottingham castle and learning all about Robin Hood, or going nearby to Mansfield where you’ll be able to find LOADS to do: choose from Sherwood Forest, Wheelgate All Action Theme Park or White Post Farm. 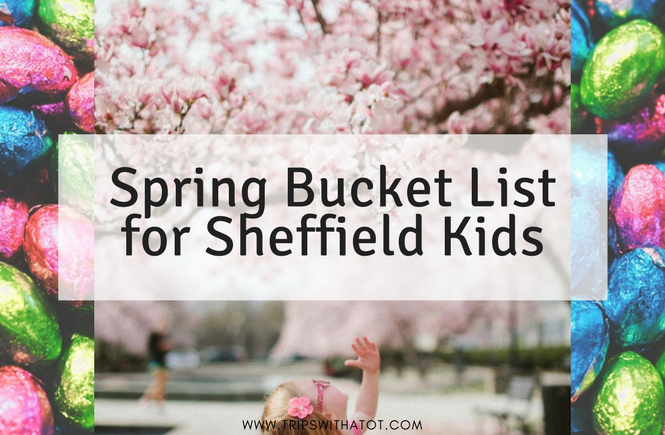 Why not choose one of these amazing days out from the UK Bucket List 23 Top Attractions List? I wonder how many you’ve already done! Where is Monkey? 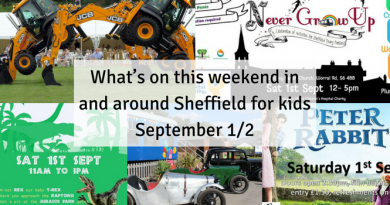 On Sunday at South Yorkshire Transport Museum, 10:30-4pm. Open day at the museum plus bring your favourite toy and have a photo taken. A FREE family show “Bring the Thunder ” at National Media & Science Museum in Bradford for 7+ all weekend, at various times lots throughout the day. You must book! 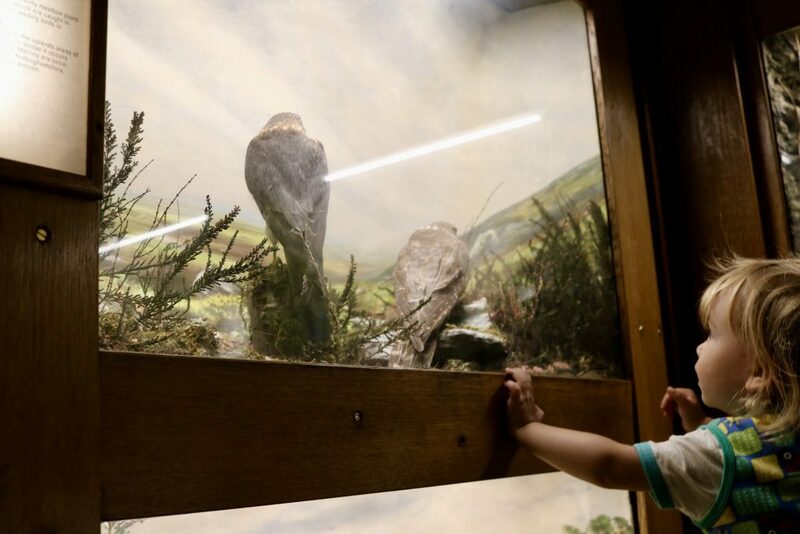 Enjoy the outdoors and head to RSPB Old Moor in Barnsley for Easter Holiday Activities, all weekend 10-4pm. 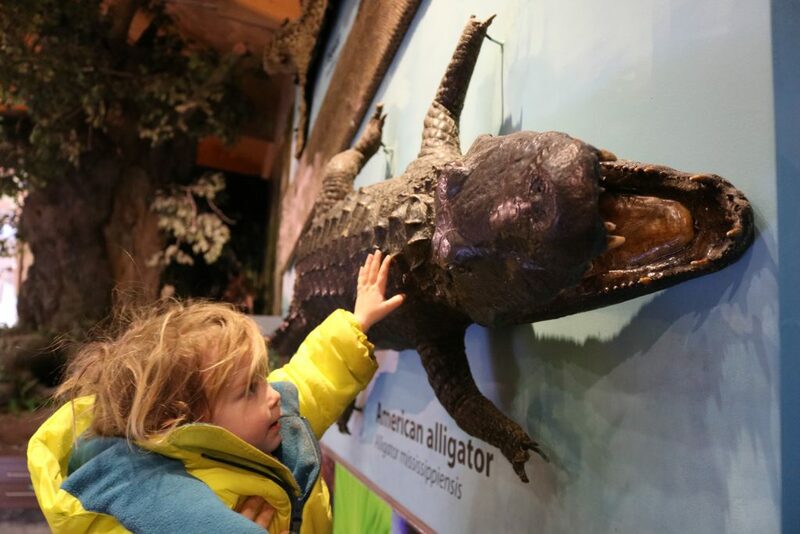 There’s bug hunts, easter trail, pond dipping and kids go free! Discover Art Pods in the galleries at The Hepworth Wakefield on Saturday and find the Explore and Draw totes, both are free! Plus there is an adventure playground outside and lovely cafe. It’s not too late for an egg hunt! Only £2 for the Easter Egg Hunt at Rufford Abbey Country Park. Lots of Easter fun happening at Egg-stravaganza, Piglets Adventure Farm in York. From March 27th-April 15th there’s play barn, mad hatter shows, Easter egg hunt, lambing live, play areas and loads more all included in admission. Have a day trip to Nottingham and visit Wollaton Park in Nottingham for the Easter Egg Trail from March 27th-April 15th. £1 per trail, find the clues and win a prize. Plus there’s a great natural history museum, playground and deer park! Meet Peter Rabbit at Mother Shiptons Cave, North Yorkshire, every day from March 27th-April 15th. Discover McGreggors Garden, meet characters who will help families complete a themed adventure quiz sheet and lots more. If the weather is nice this weekend don’t forget to take full advantage of that and go outdoors! Have a fantastic weekend everyone! See you next time.